Kyle Shanahan nearly got the job, but Vance Joseph was the leader going into the interview process and he won it at the end. 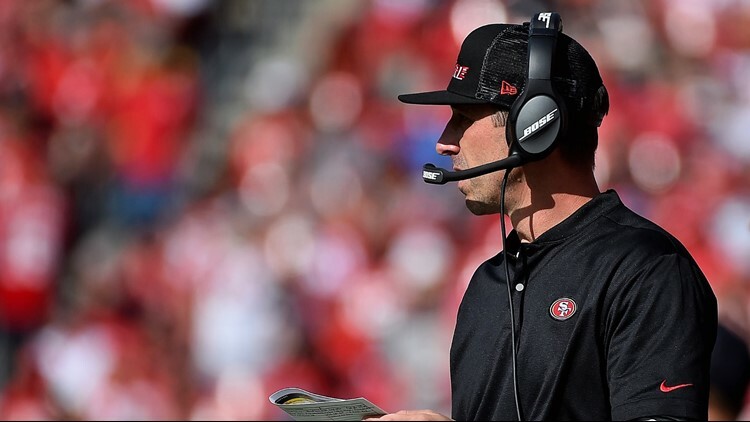 ENGLEWOOD — Kyle Shanahan blew them away. A Broncos’ contingent featuring general manager John Elway, chief executive officer Joe Ellis, director of player personnel Matt Russell, executive vice president of public relations Patrick Smyth and administrative assistant Mark Thewes were gathered in an Atlanta-area hotel conference room interviewing Shanahan, the Atlanta Falcons’ offensive coordinator, for their head coaching job. According to sources familiar with the interview, Shanahan, whose father Mike Shanahan was the best coach in Broncos’ history, was off-the-charts impressive. Kyle Shanahan nearly got the job, but Vance Joseph was the leader going into the interview process and he won it at the end. A couple weeks later Shanahan became head coach of the San Francisco 49ers who this Sunday host Joseph’s Broncos. Was losing out to Joseph for the Broncos’ job on Shanahan’s mind this week? “No, not at all,’’ he said in a conference call with the Denver media Wednesday. “I enjoyed that whole process a ton. I’ve been asked about it a lot and I have so many people I’m close with in Denver. Just friends and family and my wife (Mandy) -- her being from there and we all have similar friends. “It was a big deal when it happened because I know a lot of people thought that – especially friends that were pulling for you, they thought I was going to be there, but my wife and I never really thought it was going to happen. We didn’t have our hopes up or anything like that. Shanahan is 8-20 in his two seasons with the 49ers, including 2-10 this year. Joseph is 11-17, including 6-6 this season. Both coaches have been riddled with season-ending injuries to key players this year.